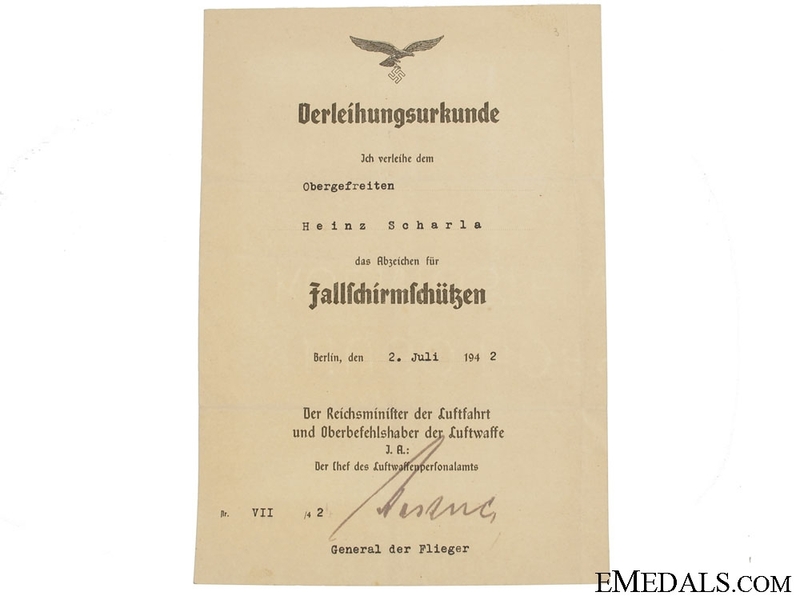 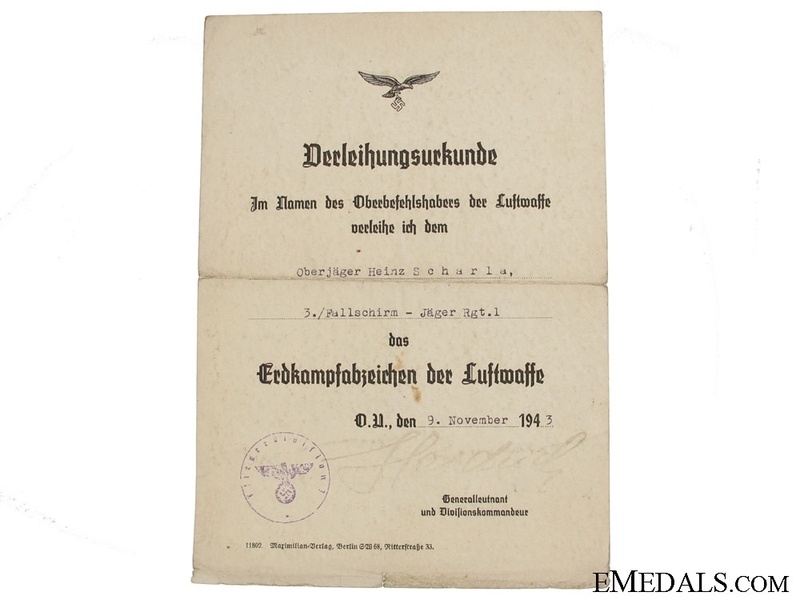 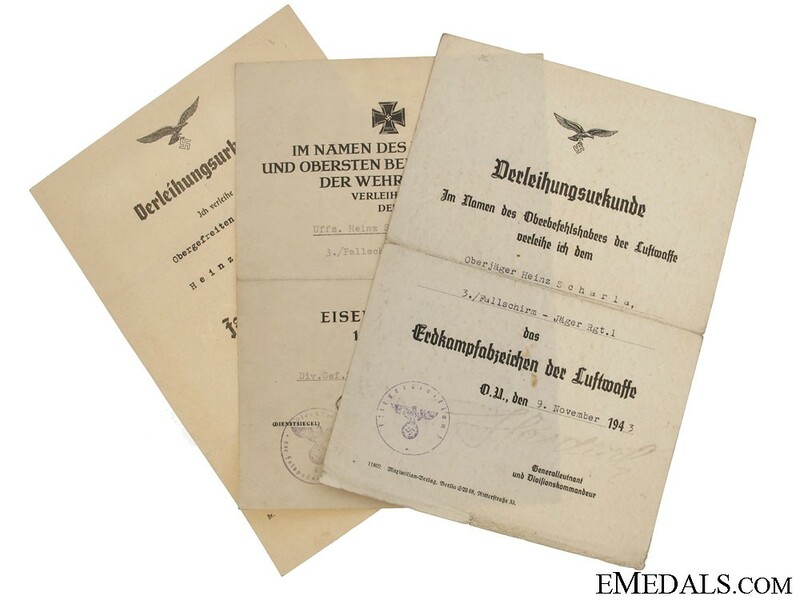 Fallschirmjäger Awards Documents - All attributed to Uffz. In FJR 1; Para Badge in July 1942; Ground Assault Badge in November 1943, signed Generallt. 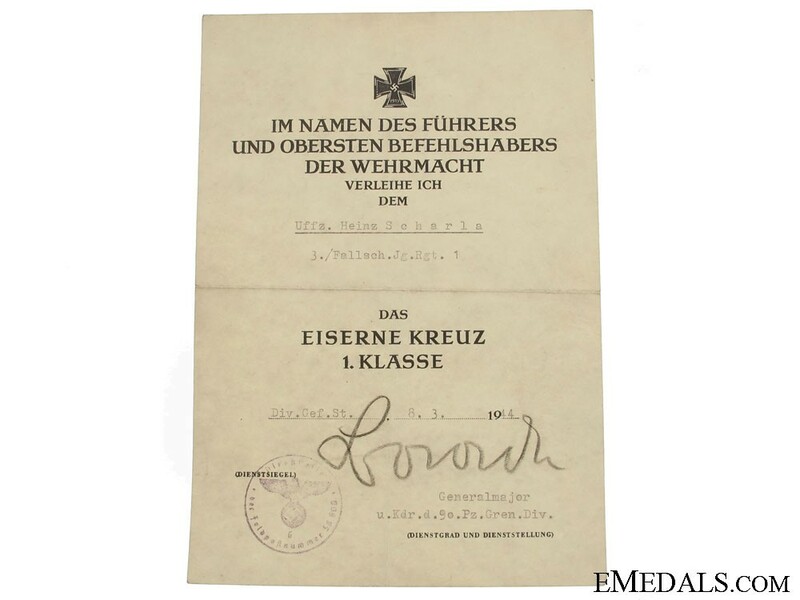 ; Iron Cross First Class, signed Generalmajor; documents folded, good/fine condition.